In 2004 wine genius Jorge Ordoñez fulfilled his dream of making wines from “pasas de Málaga”, that is, the best raisins in Spain. These new Spanish wines, made from raisins! are receiving accolades from all corners of the world. They are a must for the wine lover visiting Spain. We will taste one of them, Victoria Nº2, best Spanish white wine of 2014 by the Gourmets Wine Guide. The concentration is outstanding, unreal melon, jazmine and tangerine aromas & flavors. This is the only tapas tour in Spain that serves Victoria 2. Steep slopes, partially decomposed slate and bedrock frequently coming to the surface (see picture), this is la Axarquia, a mountainous grape region located in Málaga. Mechanization of the cultivation is impossible (notice the donkey). 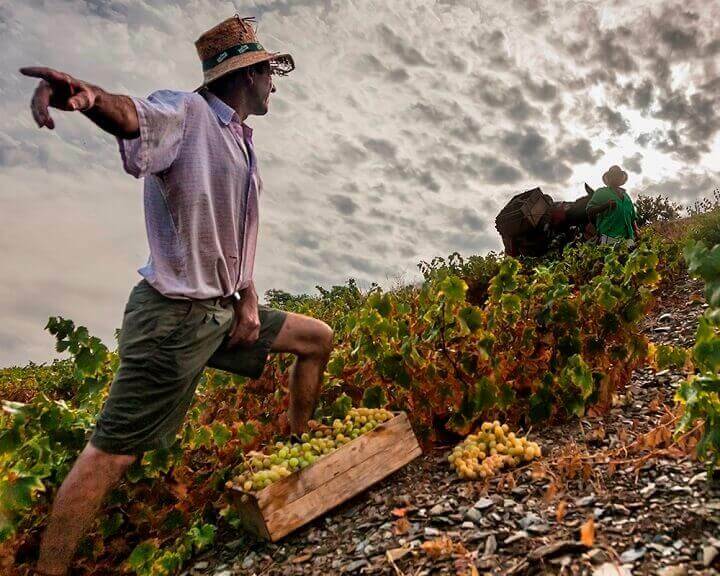 La Axarquia produces the best raisins in the Spain.